In 2004, Bernard McCarthy began propagating and planting jujubes on his property near Mildura, Victoria and Jujube Australia was born. As jujube production increased Bernard resigned from his employment as a freshwater research scientist in 2012 to devote more time to farming and promoting the jujube fruit. Today, Jujube Australia is proud to be the premium producer of fresh and dried jujubes in Australia and is committed to delivering the highest quality jujubes to its valued customers. 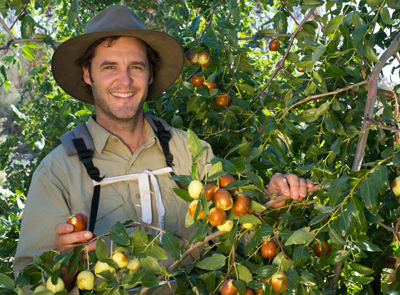 The development of Australia’s jujube industry began in 1993 when David and Val McCarthy (Bernard’s parents) established Australia’s first commercial jujube orchard. A small but loyal market was established in Sydney, with overseas-born Australians the first to recognise the rare jujube fruit. 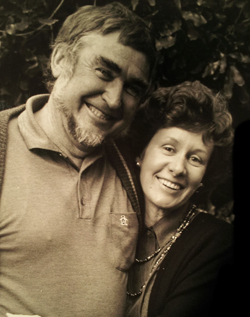 Following the passing of David in 2004, Jujube Australia continues the McCarthy’s pioneering work with its quest to bring jujube nutrition to the world!